We all learn at least one language as children. But what does it take to learn six languages...or seventy? 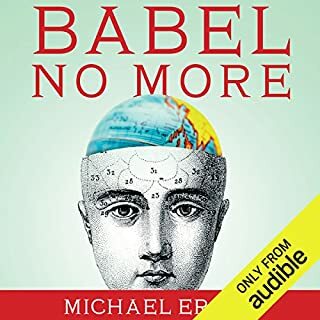 In Babel No More, Michael Erard, "a monolingual with benefits," sets out on a quest to meet language superlearners and make sense of their mental powers. On the way he uncovers the secrets of historical figures like Italian cardinal Giuseppe Mezzofanti, who was said to speak seventy-two languages; Emil Krebs, a pugnacious German diplomat, who spoke sixty-eight languages; and Lomb Kat, a Hungarian who taught herself Russian by reading Russian romance novels. Fluency Made Achievable introduces the listener to one of the secrets of long-term success in language learning: the balance of core learning skills: Listening, Reading, Speaking, and Writing. Written by a language tutor who has experienced her fair share of language learning successes and frustrations, Fluency Made Achievable will inspire listeners to try out new types of exercises with fresh motivation. Did you know that listening to audiobooks doesn't just make you smarter, it makes you smarter, quicker, and increases your intellect - and recall - as well? 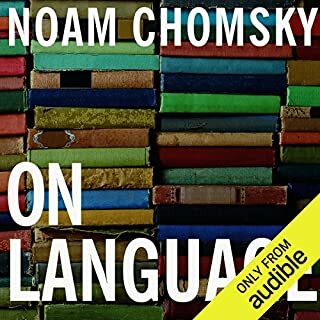 If you want to discover why audiobooks are the coming rage, this is the audiobook for you. If you want to learn more, faster than ever before, this audiobook is for you, too. Learn how to use cognitive skills and retention tools to revolutionize the way you and your family learn. Very Insightful, I am smarter for listening. I predict that hundreds of people who read this description will close this page in a few seconds. 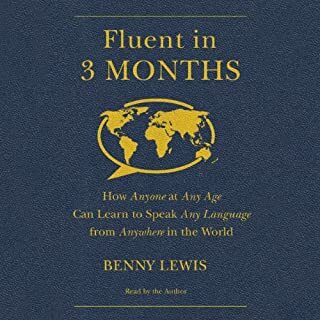 "Learn a new language in a few months? Are you out of your mind?" they'll say. "It's just too good to be true." And they'll go back to their old language learning methods. You know which methods: toiling away at mind-numbing grammar exercises, learning words nobody uses, and, most importantly, never actually using your skills to communicate with another person. If you're still with me, I expect you to be different. Adults who want to learn a foreign language are often discouraged because they believe they cannot acquire a language as easily as children. Once they begin to learn a language, students may be further discouraged when they find the methods used to teach children don't seem to work for them. What is an adult language learner to do? 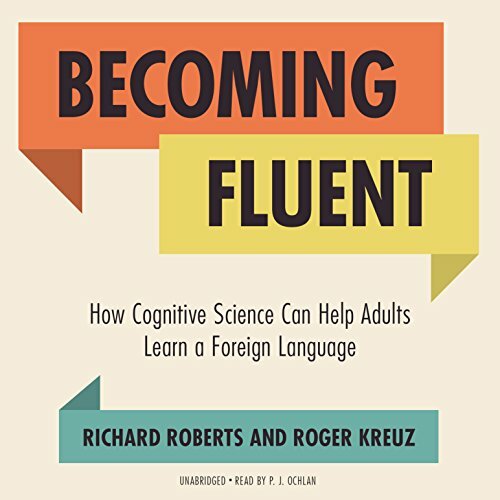 In Becoming Fluent, Richard Roberts and Roger Kreuz draw on insights from psychology and cognitive science to show that adults can master a foreign language if they bring to bear the skills and knowledge they have honed over a lifetime. Adults shouldn't try to learn as children do, they should learn like adults. Roberts and Kreuz report evidence that adults can learn new languages even more easily than children. Children appear to have only two advantages over adults in learning a language: they acquire a native accent more easily, and they do not suffer from self-defeating anxiety about learning a language. Adults, on the other hand, have the greater advantages - gained from experience - of an understanding of their own mental processes and knowing how to use language to do things. Adults have an especially advantageous grasp of pragmatics, the social use of language, and Roberts and Kreuz show how to leverage this metalinguistic ability in learning a new language. Learning a language takes effort. But if adult learners apply the tools acquired over a lifetime, it can be enjoyable and rewarding. 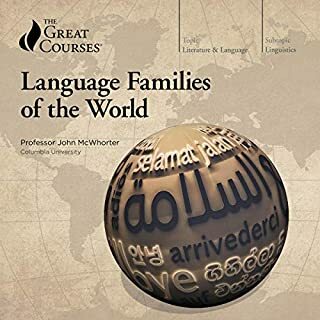 One of the best audiobook about learning new language. The techniques in the book also can be used to study and prepare for new materials. Using cognitive science in order to recall old and new memories learned through the years. I do recommend it for all the learners. This book had plenty of information of how NOT TO study foreign language but very little in the way of learning strategies. There are a few, and maybe there are more but they are easily forgotten due to complicated, vague, convoluted explanations. 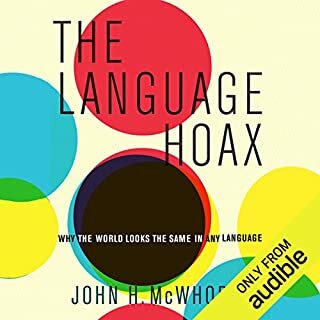 If you're looking for how the mind works when acquiring a foreign language, benefits of studying a foreign language, or why certain things you've done in the past have often times been helpful, this book is fine. 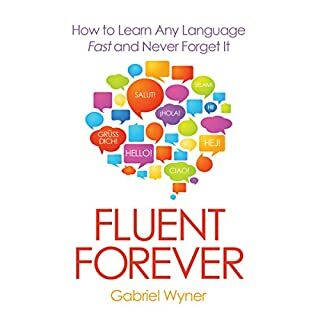 Just don't expect the authors to give you examples of best practices to retain conversational foreign language competencies in long term memory. Either I'm a huge nerd or this book really is as entertaining and informative as I think it is. The perfect blend of examples and stories of Richard paired with the scientific topics make for a really enjoyable listen. good info, poor narration. hard to get past the tone of delivery. oh well, eh? The information in this book is science-based and encouraging for anyone struggling to learn a new language. If you've never researched or learned about memorization techniques you'd find this interesting. The narrator was also quite robotic sounding.